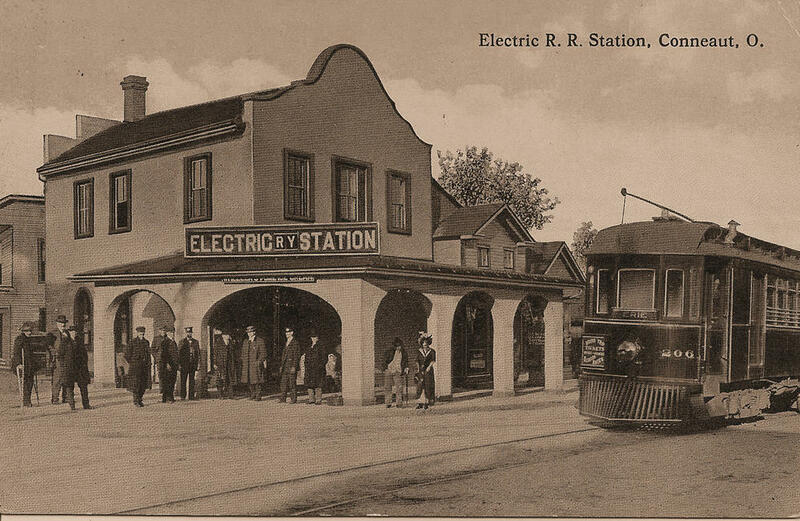 Here is a sepia tone post card showing a trolley parked at the station which was located on the corner of Main and Harbor Streets in Conneaut, OH. Not sure of the date of this post card but the station was built in 1911. I have seen color tinted versions of this image.